Are you presently in an intimate relationship? Do any of your children presently live with you? If so what are their ages? Tell us in a few sentences what you believe qualifies you for this course, and what you plan to do with the HFT’s Certification once you have it. This may include academic credentials, but also life experience qualifies as pertinent and valuable. Please list anything you think we should consider in accepting you as a qualified applicant for this training program. Please summarize what your goals are for satisfactorily completing this Coaching Certification. How do you visualize yourself working with Happy Family Training™ in the future? The Creed for Happy Family Training™ Please check each statement below to signify your understanding. I understand that to successfully complete the Happy Family Training™ Certification Course, I must agree to practice the Ten Guiding Principles for Reality for Kids™ in all of my daily and family affairs. I promise to apply the HFT process and methodology only as described and taught. I will not hold Happy Family Training™ liable for any personal misuse or abuse of this process. I agree to conduct all of my affairs with clients (defined as anyone with whom I share this work with) according to the highest ethical standards. I will respect my clients right to confidentiality, by refusing to discuss their work with me in any form with those who I have not been given specific, written consent or permission to do so. I will give the client I am working with the right to decide for themselves what fits for them, and what they want to do about it. I will maintain appropriate physical and emotional boundaries with my clients, by establishing a contract with them about what I offer and what they expect. I will apply the following Guiding Principles of Reality for Kids™ to all of my life affairs … seek daily to practice them in every facet of my life and in relationships with others, whether that be at home, in school, or at work - or wherever I may be. I will seek to resolve conflicts using the tools I am learning through The HFT. Please check each statement below to signify your understanding. HFT does not offer Family or Personal therapy. It is not a professional counseling modality, and does not offer any sort of specialized therapeutic approach. It is educational and informational by design. The HFT does not claim to offer any kind of psychological or psychiatric help and is not intended to treat serious psychological issues such as those diagnoses listed in the DSM-5. HFT does not offer an Academically Approved Degree of any kind. HFT does not diagnose illness, nor prescribe medicine of any kind. HFT Does not offer psychological or psychiatric training. HFT does not profess to treat or heal mental or physical illness or conditions of any kind. HFT does not tell or advise clients what to do but leaves them free to decide their own path. Teach a simple, powerfully effective way of inspiring children and individuals to assume self-responsibility and align with Reality. Show Us practical methods that turn our rather unhappy perceptions of life into a way of seeing life that aligns us with a loving Reality that always works for us. Teach us a down to earth application based on common sense that has been effective in training children without the use of shame or blame that have proven to be successful over and again. Teach us how to win the cooperation of children (and others) in seeing and accepting life on its own terms without negative backlash. Teach us how to befriend Reality and learn how to want what we have without collapsing into helpless futility. We look forward to reviewing your submission and will be in touch shortly. 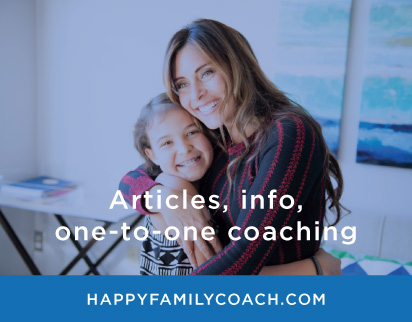 Please contact info@happyfamilycoach with any questions.